Android smart phones may be more susceptible to hacking and viruses than Apple’s iPhone. According to Steve Chang, chairman of Trend Micro Inc., the Android operating system is based on open source coding which allows programmers greater flexibility and ease in disseminating apps, but also makes it vulnerable to hackers with malicious intent. The open source code allows hackers to understand the underlying architecture and source, enabling them easily to design harmful software. controls its software more tightly and follows a stricter app approval process. Before an app can be sold in Apple’s app store, it must be approved by Apple. Android allows programmers freely to disseminate their apps. Apple’s iOS software, used in its iPhone, iPad, and other mobile devices, also contains built-in security measures. 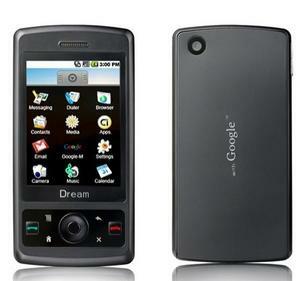 Google’s Android platform for smart phones was introduced in 2008 in conjunction with various hardware and software developers including Intel, HTC, ARM, Motorola, and Samsung as part of the Open Handset Alliance. The Open Handset Alliance embraces elements of open source computer culture which believes in giving free access to a product’s source code. The goal is to unleash the creative energies and harness the collective power of programmers around the world to create better software, applications, or programs. Other major open source projects include the Linux operating system for computers. While comparatively safer than the Android operating system,Apple’s operating system is not entirely impervious to hackers. “Apple’s iOS isn’t fully immune to security threats and may be hit with so-called social-engineering attacks, which trick users into authorizing the download or installation of malicious software,” Chang said. McAfee Inc. warns that Apple’s iPhone and other mobile devices will be the target of hackers in 2011. The increasing popularity of such technology and the relative lack of consumer awareness for safety leave these devices at risk for data and identify theft. Currently RIM dominates the U.S. smart phone market with 33 percent, while Google’s Android is second with 26 percent and Apple’s iOS trails with 17 percent in third. Google’s Android has rapidly gained market share since it was first introduced, leaping from 3.8 percent of the U.S. market in 2009 to its current 26 percent. Based on its rapid growth, some predict that the Android will gain market dominance in the U.S in as little as three months.